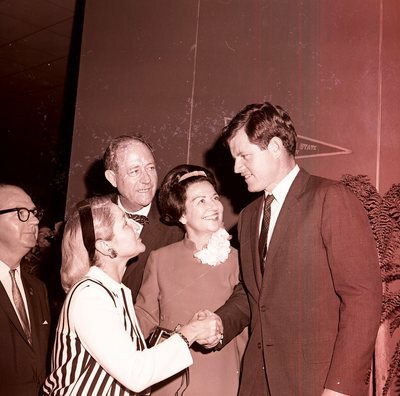 "Senator Ted Kennedy Visit" by Morehead State University. Office of Communications & Marketing. Morehead State University. Office of Communications & Marketing. Massachusetts's Senator Edward M. "Ted" Kennedy speaking to students at Morehead State University in the Fieldhouse on October 6, 1967.